So maybe you noticed that Lindsay and I like to eat out as much as possible. You probably also noticed that we like to write about it. 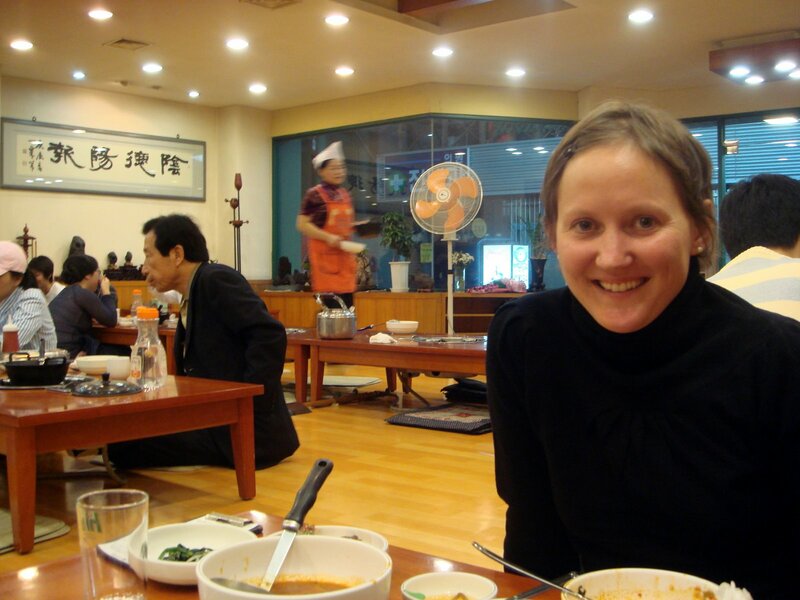 But you really have to hear about eating out in Korea. You do it naked. Just kidding. 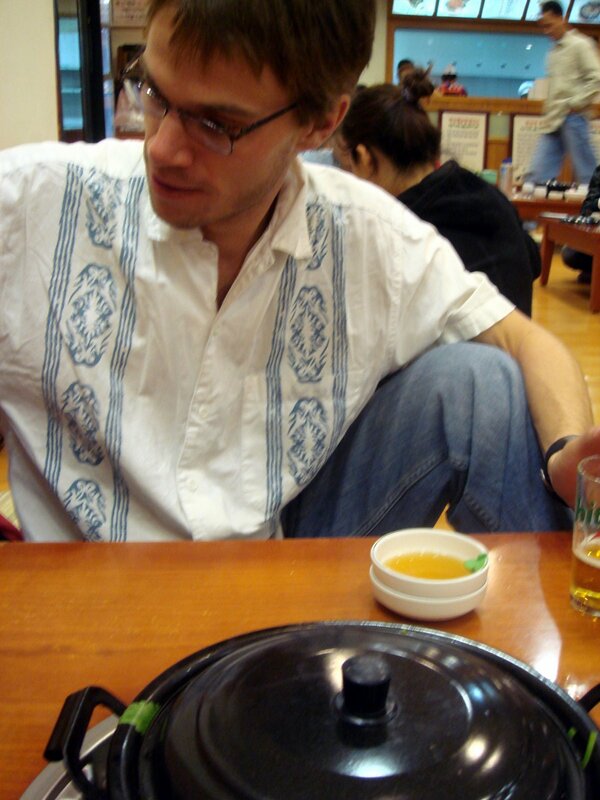 But sometimes the Korean people staring at the Me-gooks(Americans) eating their food makes you feel kind of naked. Its okay. Just smile, laugh and keep eating. They seem to appreciate white people with a sense of humor, and white people that have no idea how to properly eat Korean food. The best thing about eating out, besides the tons of food you get, is the customer service. You get waited on hand and foot, even after rudely yelling “yogi-yo(over here!! )” to the staff. They bring you several side dishes (free refills) and your main dish in a flash. Sometimes the waitresses even shows you how to eat whatever your ordered. Fast food without all of the grease and some eating lessons. Tonight was a great case in point. We got tons of food, almost at the moment we sat down. When the waitress noticed my love for the kimchi, she gave me a hefty refill. Then she got in Lindsay’s face and pinched her cheeks, and looked over at me to give me a thumbs up sign. It was like eating at your grandmother’s house. They do this all without even expecting a tip. Tipping isn’t part of the culture. You just don’t do it. To make matters even better, you can gorge yourself for about $9. That is even an expensive dinner out with drinks. There are so many restaurants around here that they really go out of their way to make you want to come back. And we do. Lots. Next Post Happy Pepero Day!